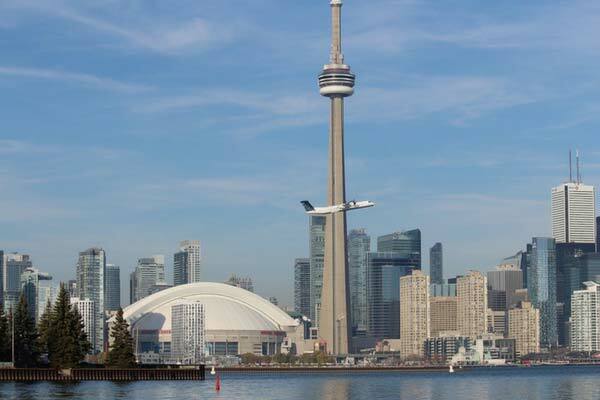 The sites listed below are the places that are most commonly requested to visit in Toronto. There is so much to see and do, we couldn't possibly list them all so if your group has other sites in mind, just let us know. We'd love to customize a trip for you! Feel free to reach out by giving us a call or by filling out the online contact form. The following links provide information regarding what is needed for entering Canada and re-entering the United States. Take a tour of this Elizabethan style mansion that was built by Sir Henry Pellat. 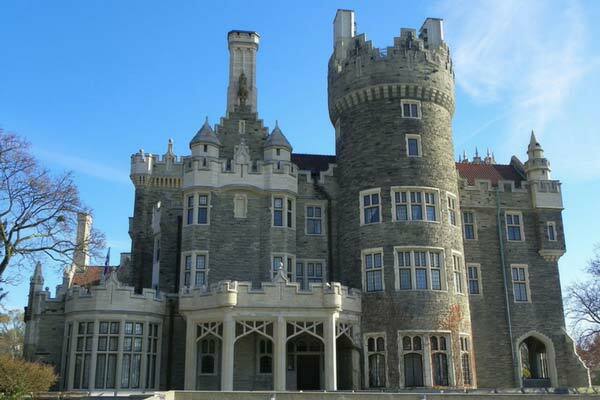 Sir Henry built Casa Loma in 1914 for $5 million. He imported marble, glass, and paneling from Europe, teak from Asia, and oak and walnut from prime areas of North America. Sir Henry even imported Scottish stonemasons to construct the walls surrounding the six-acre site. Complete with Rhineland turrets, secret passages, and an 800-foot underground tunnel, Casa Loma is a favorite attraction for people of all ages. 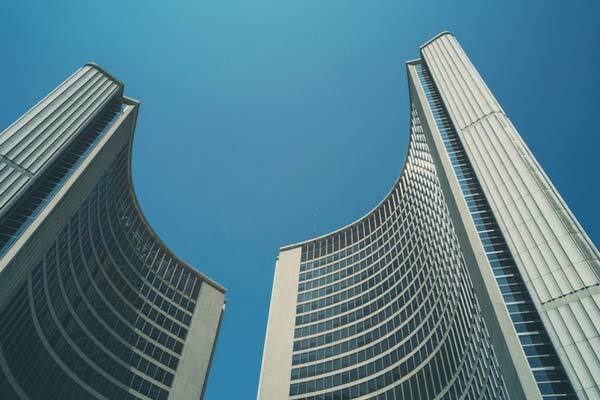 An educating and architecturally spectacular site in Toronto is the New City Hall. With its modernistic style designed by Finnish architect Viljo Revell, the New City Hall is comprised of two curved towers of unequal heights. These towers are built around a circular council chamber and public space. This wonderful piece of architecture provides a sculptural backdrop for Nathan Phillips Square, where your group can gaze at the beautiful fountains, flowers, and reflecting pool. The CN Tower is a 1,815 feet tall tower and is the first thing seen when your group enters the city. Considering it is the tallest freestanding structure in the world, it’s hard not to be instantly drawn to this splendid needle like structure. In just under one minute, your group can be whisked 1,136 feet above the ground to the sky pod. Directly above the sky pod sits the world’s tallest observation deck. At 1,465 feet above ground level, your group can enjoy a clear day’s view of Niagara Falls, and sometimes even Buffalo! Make a stop at the largest museum in Canada, where your group can view over 6 million objects of art, archeology, nature, and science. The ROM is home to over 6,000 years of Chinese art and artifacts, the best Greek and Roman collections in North America, and the largest arms and armor collection in Canada. Your students will love the opportunity to see real mummies in the Ancient Egyptian and Nubian galleries. With all of this and much more, this is one stop your group does not want to miss. 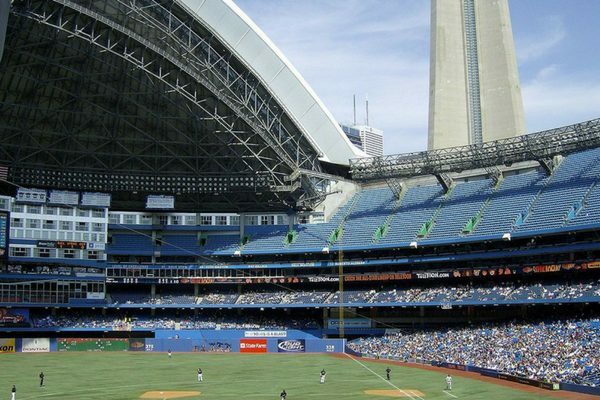 Rogers Centre Tour Experience is the best way to appreciate the wonders of the Rogers Centre, home of the Toronto Blue Jays Baseball Team and Toronto Argonauts Football Team. Find out about past and upcoming events and learn how the stadium can change configurations from baseball to football to concert venues. Rogers Centre Tour Experience is a one hour fully guided behind-the-scenes tour. Highlights include a visit to different levels, press box, a luxury suite, and much more! 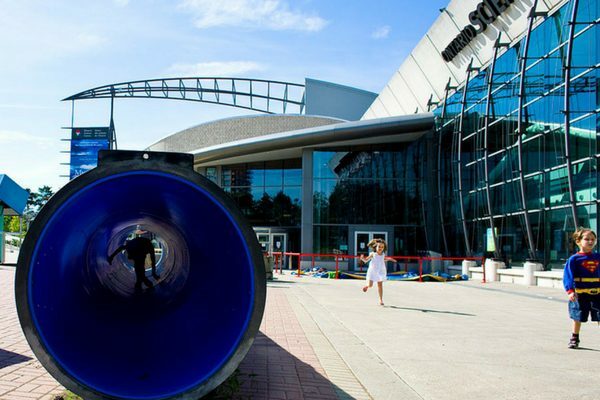 The Ontario Science Centre is a hands on museum that holds a series of wonders for both adults and students. With more than 800 interactive exhibits, your group can test their reaction time, play exotic musical instruments, take a walk through a tropical rainforest, trick their minds with a variety of optical illusions, virtually land a space ship on the moon, and so much more. They can even stop in a theatre to watch short films, demonstrations of lasers, metal casting, and high voltage electricity! Welcome to the Waters of the World! Immerse in a world of 16,000 aquatic animals and discover an underwater adventure at Ripley’s Aquarium of Canada! 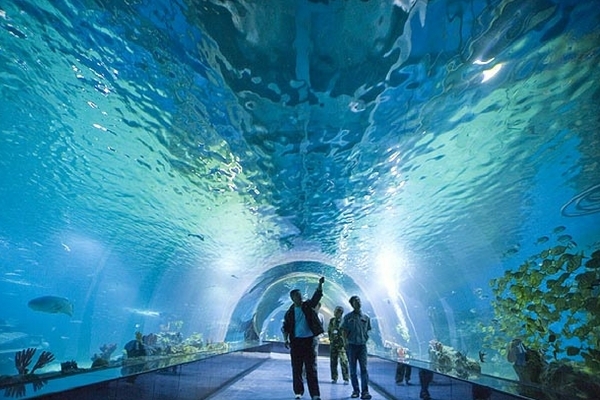 Containing over 5.7 million litres of water, the 12,500 square metre (135,000 square foot) interactive attraction immerses groups in a thrilling underwater adventure that showcases more than 16,000 marine animals. Open 365 days a year, Canada’s largest indoor aquarium features the biggest shark collection in North America, one of the world’s most extensive jelly fish exhibits, 65+ year old giant lobsters, sting rays, and bamboo shark touch pools and daily live dive shows. Many people are not aware that it’s not uncommon for Broadway’s greatest shows to also conduct performances in Toronto at the fabulous Mirvish Theatres! The list of past shows has included Mamma Mia, Wicked, The Lion King, Phantom of the Opera, Chicago, and many more. Coming to Toronto in 2017 is Matlida, STOMP. The Sound Of Music, and many more. Check out Mirvish Production’s website to see what shows will be playing when your group goes to Toronto. 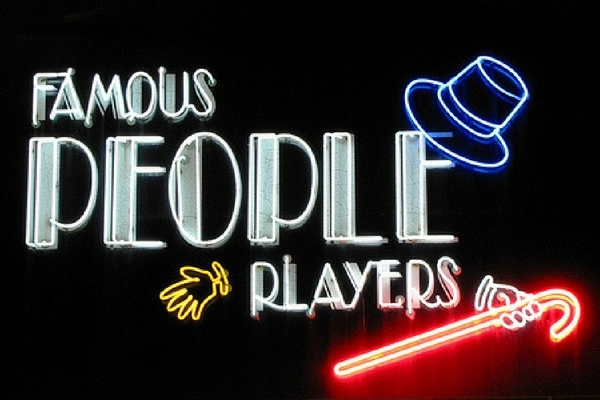 This internationally renowned black-light theatre company has become a proud Canadian national treasure. 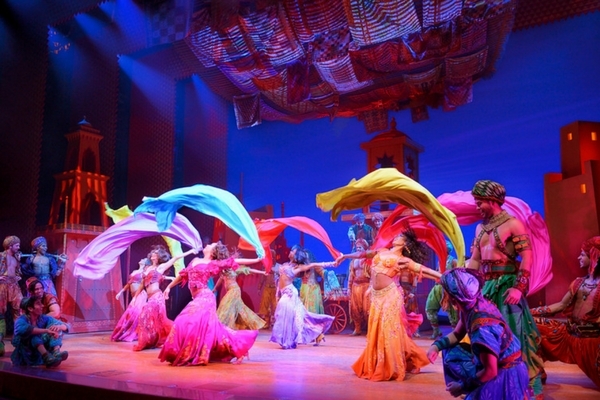 Located minutes from downtown Toronto, their unique theatre experience entertains students and adults alike with creatively delicious meals and captivating productions. With dedication to helping those who are developmentally challenged, their performances include exceptional achievements from those who have dared to believe in themselves.